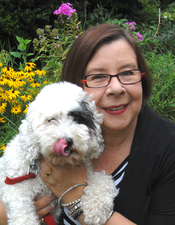 We are happy to add author, illustrator, and artist Mary Zisk as a contributing author for Nerdy Chicks Rule! We met Mary at a Society of Children’s Book Authors and Illustrators conference in New Jersey, and were impressed with her interest in art and women’s issues. You might remember that Mary created a guest post for us a few months ago. If you missed it, you can check it out HERE. Mary, who is Design Director for Strategic Finance, adds her vast knowledge of art and design to the Nerdy Chick Coop. Mary will make her first post as a contributing author tomorrow. As a way of introducing her to you, we decided to feature her in our Three Questions series. You can also find out more about her on our ABOUT page. Now, here are Three Questions with Mary Zisk! 1. What is one aspect of your career as an art director that you do regularly, but that people wouldn’t think of as an art director’s job? I’m often surprised that some people—like relatives or even coworkers—don’t understand what a magazine art director does. They know me as an artist so they think I illustrate all the covers and articles of the magazine. That’s art, right? In reality, I hire illustrators to do that. Each month, I read the cover story and feature articles, figure out what they are about (all aspects of corporate accounting—not easy for a nonaccountant), and then decide who is the best person to interpret that article visually. Then, I collaborate with that artist from sketches to final art. It’s about a two-week process. 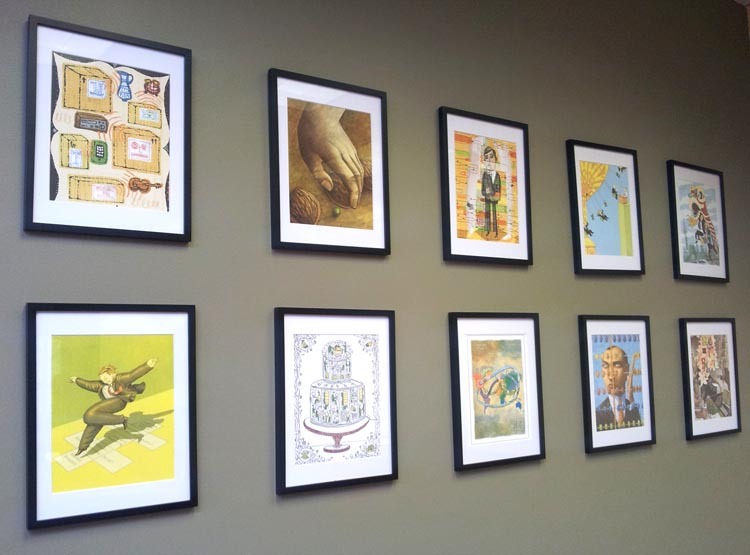 Recently, I was allowed to redecorate our company lunchroom and included a gallery wall with framed prints of the magazine’s illustrations. So much talent on one wall. 2. On your website, you mention that you have traveled a lot during your career. Is there a favorite place you have been? Without a doubt, Italy! I’m half Italian, and when I went there for the first time with my parents, I felt completely at home. I’ve had six visits there. One trip was a tour with other artists, sketching and painting. My sketchbooks from there are my greatest treasure. I also spent a month in Urbino in a painting program. 3. You create beautiful watercolor paintings, but also lovely pen and ink illustrations. What drives your passion as an artist? Something inside me needs to always create and use my talent. I’ve felt lucky that, as an artist, I get to really see and experience deeply what’s in front of me. 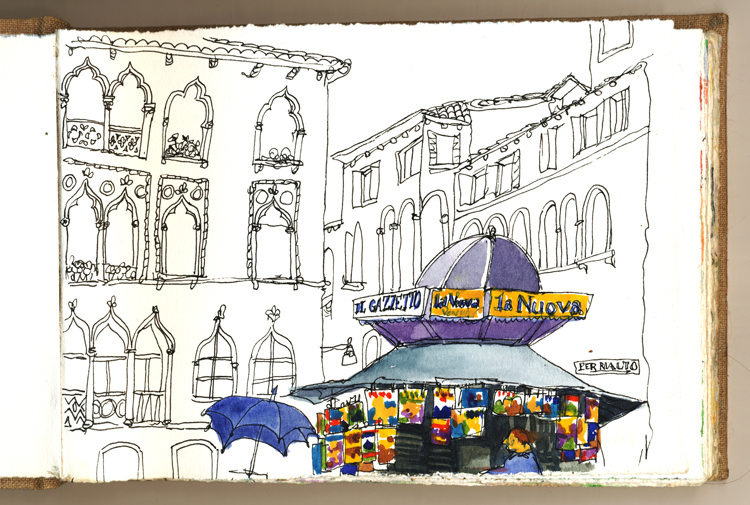 Having painted a piazza in Venice, I can look at that painting years later and remember the laughing waiters at a café throwing bread near me so that pigeons would annoy me. With pen and ink illustrations, I’m looking to tell a story or make someone laugh. I love drawing lots of details and patterns, and pen and ink is the perfect medium for that. Go to my WEBSITE and check out my interpretation of “Down the Rabbit Hole” for a conference assignment—definitely a heavy influence from Mad magazine. This entry was posted in Three Questions With and tagged Children's Author Mary Zisk, Magazine Art Director, Mary Zisk, Strategic Finance Magazine. Terrific post! And very interesting to read about the role of an art director, especially the timing for getting the art done for the cover. Two weeks is a very quick turn-around. Looking forward to Mary’s post tomorrow. Thanks for the welcome! Editorial illustrators are used to quick deadlines–thank goodness for me. How wonderful to have Mary join the Coop! Loved the bio page on her website – Captain of the Twirlers = taste of power LOL! Ditto the vivid imagery from Saturn’s rings to Death Valley and the Great Wall. Can’t wait to read more from Mary. 🙂 Soon we shall clamor for a video post when you make statements like that Mary! I am so glad to see my friend Mary on this site. Nerdy Chicks are the best! Darlene, would love to see you in person too. 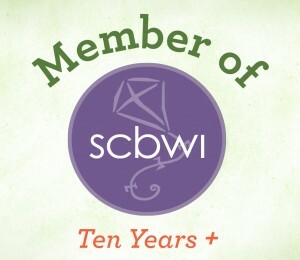 Are you going to the NJ SCBWI Craft Weekend (blatant plug) in November? I had to look twice, but I was right that is my mother in the blog world. 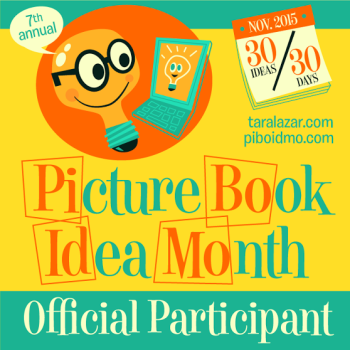 Hope you enjoy it and don’t forget it is all about having fun writing! Hahahaha, I’ll discuss with my daughter the videographer. Love that you’re involved with this Mary. Looking forward to following you. You go!!!!! Thanks, Karen. I love the challenge.